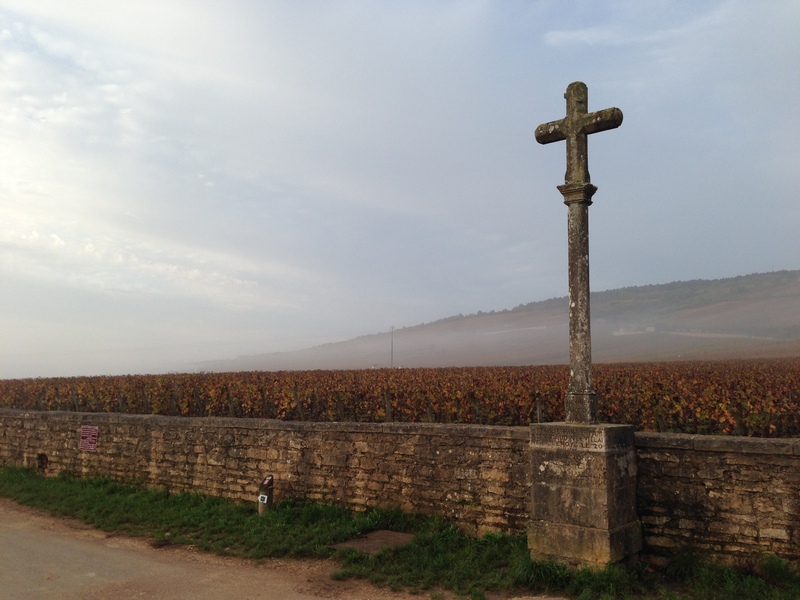 Domaine Antoine Jobard – A WEA Wines Exclusive! 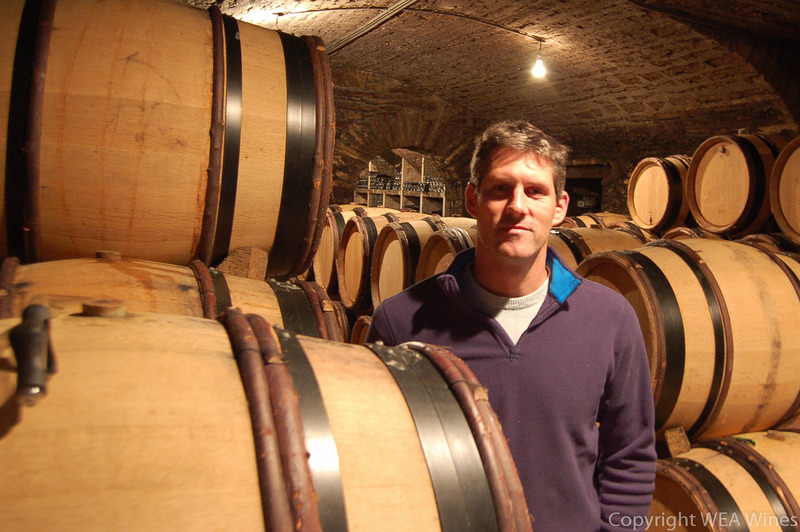 Antoine – the 5th generation of the family – officially took over the Domaine from his father Francois in 2006. They have just over 6 ha of vines predominantly in Meursault and they only make white wines. Very little new oak is used here – only 15% on average. The Bourgogne Blanc is usually a sign of how great a Domaine is and the example here, made from 4 different parcels around Meursault, is absolutely stunning and a ringer for a basic villages Meursault. He makes two different single vineyard villages cuvee, En La Barre on offer now and Tillets which we will have for the ’13s. The Premier Crus, are without doubt, a class of their own. Blagny from a higher altitude and Poruzots situated right beside Genevrieres. – Bill Nanson, The Finest Wines of Burgundy. Antoine makes very pure and understated Meursaults. In my opinion, the style is more Roulot than Lafon. The main market for their wines is inside Europe itself and only bits make it to the UK and USA. Domaine Antoine Jobard is one of the few Domaines which I’ve been following for a while and it gives me immense pleasure to represent them in Singapore. Wines are very limited for our inaugural offer and are very fairly priced, showing that you do not need to break the bank to get exemplary Burgundies. WEA are proud to represent the wines of Antoine Jobard (Meursault) in Singapore. We have the following wines in stock. Email us to receive our offers and for orders. The 2012 Domaine Jobard Bourgogne blanc is really a delicious wine of breed and finesse that is very much a creature of this great vintage. The lovely nose wafts from the glass in a mix of apple, hazelnuts, tangerine and a fine base of chalky soil tones. On the palate the wine is deep, full-bodied and almost silky on the attack, with a fine core of fruit, crisp acids, lovely focus and impressive length and grip on the classy finish. This will drink beautifully upon release and has the balance to age very gracefully. Drink between 2014-2020. Rated JG88. The 2012 En La Barre from the Jobard family is a stellar bottle of Meursault, with premier cru quality very much in evidence in its complex bouquet and its fine depth and balance on the palate. The wine offers up a classy aromatic constellation of apple, passion fruit, iodine, hazelnuts, a beautiful base of minerality and a deft framing of vanillin oak. On the palate the wine is pure, full-bodied and shows off superb mid-palate depth, with bright framing acids, gorgeous fruit tones and soil transparency and outstanding length and grip on the complex and crunchy finish. This is a beautiful bottle. Drink between 2014-2025. Rated JG91+. The 2012 Meursault Blagny is extremely elegant this year- not always the case with young Blagny mind- and is a superb bottle in the making, The wine offers up a lovely aromatic mélange of tangerine, apple, a hint of iodine, almonds, lovely floral notes, deep soil tones and vanillin oak. On the palate the wine is pure, full-bodied and displays outstanding mid-palate depth, with great backend soil signature, crisp acids and lovely focus and grip on the very long and classic finish. A superb example of Meursault “Blagny”. Drink between 2016-2035. Rated JG93. The 2012 Poruzots chez Jobard is absolutely stellar. The wine is impressively detailed and complex on the nose, wafting from the glass in a very refined blend of apple, passion fruit, hazelnuts, iodine, a gorgeously complex base of soil, orange zest and vanillin oak. On the palate the wine is deep, full-bodied, pure and more reserved in profile than the nose suggests, with a rock solid core, bright acids, superb focus and balance and a very, very long and exquisite finish. I love this wine this year. Drink between 2018-2040. Rated JG94+. This entry was posted in Uncategorized on November 7, 2014 by WEA Wines.